More than ever, stability, consistency and quality have become key in the asset management business. 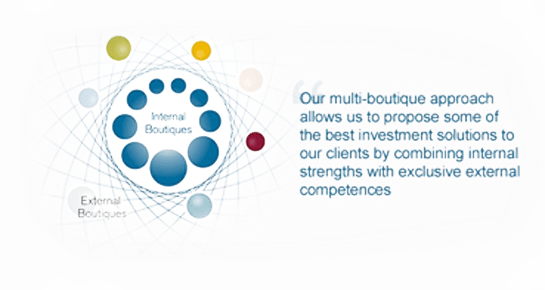 We are an active asset manager that aims to provide alpha and outcome solutions in diverse market conditions. Using alpha strategies is all about giving the fund manager freedom to invest with minimum constraints in order to maximise investor return. To satisfy growing demand for alpha strategies, Nordea Asset Management (NAM) has established a multi-boutique approach that combines internal and external capabilities, where expertise in a given area can add competitive advantage and ultimately generate higher returns than the peer-group. Establishing segregated teams for key asset classes, allowing each team to focus on their primary activity: managing money. This also translates into retaining competence centres that generate higher freedom of action for the investment managers.